Shopping for Batman Prop Replicas? Add some anarchy to your style! The Joker has been featured with his trusty cane in comics, TV and movies...and now is your chance to enhance your swagger with this premium life-sized replica. The head and tip of the cane are brass-finish metal, with a wooden body. 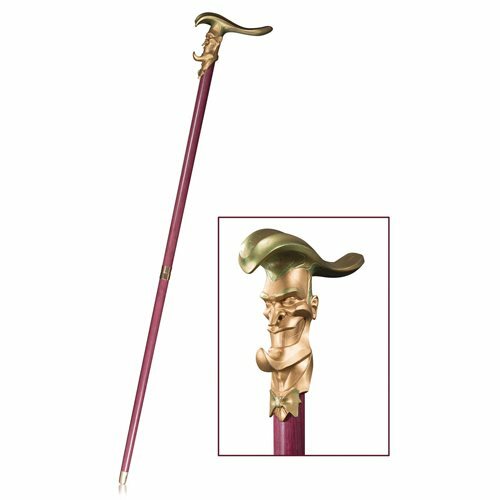 The DC Gallery Joker Cane Prop Replica comes in 2 pieces with brass-finish metal screw connectors. The DC Gallery Joker Cane Prop Replica measures approximately 42 1/2-inches tall.